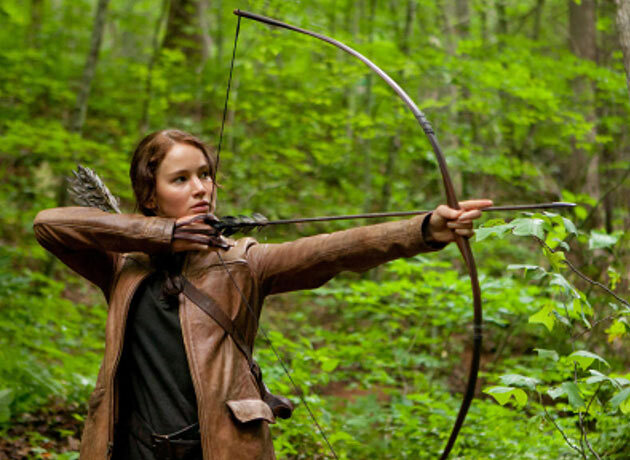 Jennifer Lawrence: Katniss is a “futuristic Joan of Arc.” | The Cineaste's Lament. Speaking to The Guardian, “The Hunger Games” starlet has a few words about her turn as the lead in the big screen version of author Suzanne Collins’ wildly successful YA series. The movie opens stateside on March 23. This entry was posted in action, Film News, Sci-Fi, Trailer Trash and tagged Donald Sutherland, Elizabeth Banks, Jennifer Lawrence, Josh Hutcherson, Suzanne Collins, The Hunger Games, Woody Harrelson. Bookmark the permalink.